James Dapogny died yesterday. He was 78 and had been keeping cancer at bay for nine years until he could do it no longer. Because the absence of people I love is deeply painful, I have embraced the notion that the dead don’t go away, that their temporal selves leave us but they merely move into other neighborhoods. With Jim’s death, I cannot keep that illusion afloat. There is a void much larger than his human form that will never be filled. No parade of clicked-on Facebook sad emojis can express this. And this sorrow isn’t unique to me: ask anyone who knew him, who learned from him, who savored his creativity and his company. Prof. and still-active cellist Mike Karoub to Prof’s left. Photograph by Laura Beth Wyman, 2014. Although he was characterized as a stride pianist and he loved the music of Fats Waller and Alex Hill, he dismissed that categorization, and told me that his mentors were Stacy, Sullivan, and Morton. In the fashion of those three great individualists, his playing was full of spiky surprises — arresting commentaries that could woo and distract in the ensemble or when he accompanied a soloist. I think he found stride conventions constricting, possibly monotonous, so I hear him as a Pee Wee Russell of the piano: going his own completely recognizable ways while uplifting all around him, creating bright-sounding treble lines but also providing solidly original harmonic support and rhythmic propulsion. He was never predictable but always heroically satisfying. Jim (I have shifted to the non-academic because it feels warmer) was also terribly funny, in person and in print. David Sager says he had “a sly and delicious wit,” which all of us experienced. He was a wordsmith, a jester, a stand-up comedian, a sharp-edged deflater, a Michigan S.J. Perelman. A deadpan improvising comedian, he didn’t mug and pander on the stand, preferring to let the heartfelt music speak. were to be used on words chosen at random. Then he gave three examples. To me this is absolutely hilarious. It still makes me laugh. My relationship with Jim grew and deepened. When I first met him, I was intimidated by his comic rapier, and when I got to know him a little better, I asked him to put it down, which he did without fuss. The more I encountered him, the more I admired him. And finally I — like everyone else who knew him — loved him. I took him on as one of my not-so-secret spiritual fathers, even though he was only a dozen years my senior. The blend of humor and toughness (he could have shown up in a 1935 Warner Brothers picture, although not as the gangster lead) reminded me of my own father, so he was dear to me. I originally wrote, “I hope I didn’t embarrass him too much with my direct affection,” but on second thought I hope I did embarrass him: that way I would know he had received the message I was sending. He was always busy transcribing charts for PORK, researching new old music, and more. But I think his secret passion was in what we call, for want of a more gracious term, mentoring. Ask any musician who played or sang with him: Jon-Erik Kellso to Dawn Giblin to Mike Karoub to Erin Morris to the members of his bands. Like Ellington, he saw very clearly what strengths we had, and worked tirelessly to bolster us — offering the most gentle helping hand to make people more glorious versions of their natural selves. One of my great pleasures, was my being able to visit him and Laura and Erin for a few days in 2016. Yes, Jim was a scholar of all things musical — not just Jelly Roll Morton and James P. Johnson’s operas — and his range was broad. When I visited Ann Arbor, the plan was that I would stay in a quietly nondescript motel, and work on my blog over breakfast (instant oatmeal from paper envelopes, and coffee) and then Jim and I, sometimes Laura along as well, would eat deliriously good ethnic food in some restaurant that only Jim knew — Indian, Korean, Thai, Chinese, Vietnamese — and the conversation would become expertly culinary as well, because he could cook, away from the piano. He was truly insightful but ready to applaud others’ insights. I dreamed of visiting him again, but missed my chance, just as I missed the opportunity to help bring Jim’s band once again to the Evergreen Jazz Festival in Colorado. The moral that James Dapogny’s life and art and generous friendship offers us is very simple. We are fireflies. At our best, we are brilliant: we trace paths along the summer night sky. But we are fragile. What can we do but live our lives so that when we depart, we are irrevocably missed? As he is. I will eschew my usual closing — consider it here but unsaid — to send love and sorrow to Jim’s wife, Gail, to his family, to his friends, to all the people he touched. Adieu, James. Farewell, Prof. We love you, Jim. Dawn Giblin. Photograph by Jeff Dunn. The song IF I WERE YOU, by Buddy Bernier and Robert Emmerich, might have vanished entirely if not for memorable recordings. I feel it comes from that postage-stamp of inspiration where songwriters seized on a commonplace conversational phrase for a title and made a song out of it. I’ve not been able to find out much about it, nor has sheet music surfaced online. But it has a wonderful auditory lineage: it was recorded in quick succession — between April 29 and July 1, 1938 — by Nan Wynn with Teddy Wilson (featuring Johnny Hodges and Bobby Hackett), Billie Holiday, Fats Waller, and by Hot Lips Page’s band, although he left the vocal to one Dolores Payne. In our time, it’s also been recorded by Dawn Lambeth and Rebecca Kilgore. Beautifully. Now we can add warm-voiced Dawn Giblin to that list, as of August 20 of this year, where she and eminent friends performed the song at the Zal Gaz Grotto in Ann Arbor, Michigan. Dawn is accompanied by Mike Karoub, cello; James Dapogny, piano; Rod McDonald, guitar; Gwen MacPhee, string bass. And, fortunately for us, this and another performance was filmed by Laura Wyman for Wyman Video. Before you plunge ahead to this latest delight, perhaps you’d like to hear other performances by Dawn Giblin: a gorgeous IF I HAD YOU from last January (no relation to the 1938 song), and a session from May, featuring GIVE ME THE SIMPLE LIFE, ALL MY LIFE, and LOVER, COME BACK TO ME. The new Person in the band (to me, at least) is the admirable string bassist Gwen MacPhee, of whom Dawn says, “I met Gwen at Wayne State University. She was in my ear training class and took me under her wing. She was the first friend I made there.” And now she’s a friend of ours. I’m happy in New York, but I wish Ann Arbor were closer. However, it’s delightful to have Wyman Video on the scene for all of us. Laura, modestly, says she doesn’t deserve to be in the credit line with the musicians, but as a fellow videographer, I politely disagree. We may not bake the cookies, but we make it possible for you to have a taste. How beautiful: a quietly impassioned reading of IF I HAD YOU by Dawn Giblin, voice; James Dapogny, pianoforte; Mike Karoub, violincello. Recorded for us by Laura Beth Wyman of Wyman Video on January 30, 2017. The sharp-eared will catch admiring echoes of WILLOW TREE and IF THE MOON TURNS GREEN, but these evocations are created with the most subtle art. Beautifully in balance, in sound and emotion — this is one of those rare deeply egalitarian ensembles where the three players are supportive, emotive, and generous — no star turns here but sweet feeling shared and intensified. You’ve already heard a good deal (although not enough) from Professors Dapogny and Karoub on this blog, but I predict you will hear more, and admire more, of the lovely singing of Ms. Giblin. 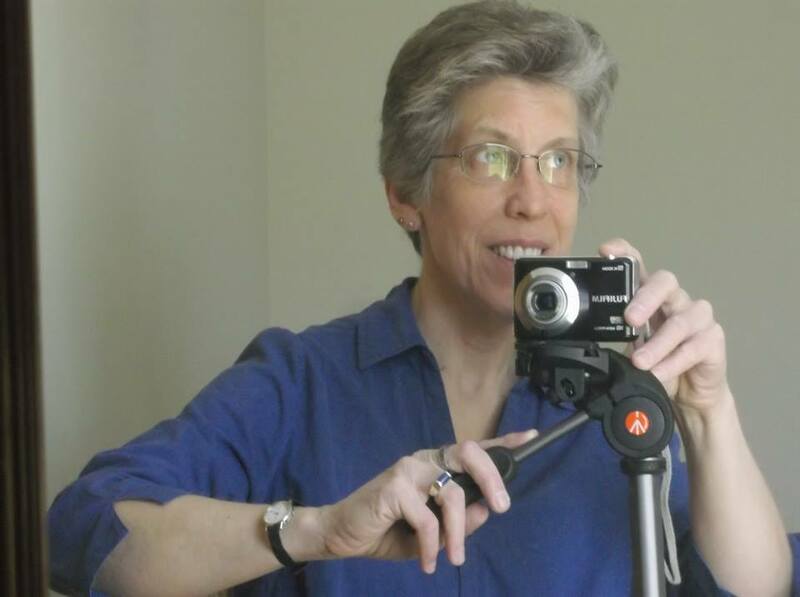 And serious gratitude to Laura Wyman of Wyman Video, videographer to the Stars. Without her, this would have been a moving interlude, remembered only by the people performing and watching. Now we have it to enjoy more than once. Here is a concert performance, nearly an hour, of one of my favorite chamber-jazz groups ever, the Royal Garden Trio, in a slightly amended state: Mike Karoub on cello, Brian Delaney on guitar, and sitting in for Tom Bogardus on tenor guitar and clarinet, the eminent James Dapogny on piano and trumpet. This rare delight took place at the Franke Center for the Arts, Marshall, Michigan, on Saturday, January 16, 2016. Here are the major landmarks on this delightful musical interlude. The Royal Garden Trio lovingly presents these songs in the most affectionately complete fashion — with their verses, an almost forgotten part of the musical / theatrical presentation, even when you don’t hear the lyrics. SWEET GEORGIA BROWN [Maceo Pinkard, Ben Bernie, Kenneth Casey]. Had you peeked in through my window when I stumbled across this marvel, you would have seen that most odd spectacle of a man seated in front of his computer, applauding a video. It delights me so. . . .not only the three brilliant rocking soloists, but the companionable layering of the three very different but evocative instrumental voices. The Royal Garden Trio might appear happily archaic — they make beautiful swing chamber music — but they do exist in the twenty-first century. They have, believe it or not, a Facebook page, an up-to-date band website, and three compact discs for sale as discs or downloads. Could they possibly be more hip? As Jake Hanna often said, “PAY ATTENTION!” I direct that summons to PBS, to NPR, to the Kennedy Center, Carnegie Hall . . . and I am sure you can add other names to this list. Help people find out about the delicious phenomenon that is the Royal Garden Trio. WYMAN VIDEO is the new brainchild and business venture of Laura Wyman, whom you should know as the CEO and head videographer of JAZZ LIVES’ Michigan Bureau, headquartered in Ann Arbor. She has taste and a dilligent perfectionism. ST. LOUIS BLUES (W.C.Handy; arr James Dapogny) – Erin Morris, Brittany Armstrong Morton, Sarah Campbell, Rachel Bomphray & Hayden Nickel (dancers). Tom Bogardus (cl), Paul Finkbeiner (tpt), Chris Smith (tbn), James Dapogny (pno), Shannon Wade (bass), Rod McDonald (bjo) & Van Hunsberger (drms). Zal Gaz Grotto, Ann Arbor, Mich. 6-21-15. FIREFLY (James Dapogny) – The James Dapogny Quartet. James Dapogny (pno), Mike Karoub (cello), Rod McDonald (gtr) & Kurt Krahnke (bass). Kerrytown Concert House, Ann Arbor, Mich. 1-10-15. CHERRY (Don Redman) – Dan Block (cl & bass cl), Andy Stein (vln), Scott Robinson (bari sax & tarogato), James Dapogny (pno), Marty Grosz (gtr & leader) & Hal Smith (drms). Allegheny Jazz Party, Cleveland, Ohio. 9-11-15. Filmed by Laura Beth Wyman for Wyman Video. All of this would suggest that WYMAN VIDEO is rather like JAZZ LIVES, and it is true that Laura is deeply involved in hot music and swing dance. But her range is far broader than mine: Laura has been capturing speakers, readings, weddings, and other occasions. I don’t think she goes to traffic court or other gloomy events, but I know she’s captured for posterity graduations, parties, swing dances, and other occasions where people gather happily. So I urge you — if you live in or near Ann Arbor, Michigan, or if you want an expert videographer, contact Laura Wyman for videography that will help you have swinging memories. And if you are not on Facebook, you can certainly contact her at wymanvideoa2@gmail.com. In some states, possession of even a small amount of forbidden substance is a crime. But — thankfully — few regimes have currently criminalized RHYTHM, so the James Dapogny Quartet is safe to swing out. It’s delightful to hear a group of improvisers take on I GOT RHYTHM in its natural plumage, since the chord changes have become “adapted” and “adopted” for so many swing originals. The only problem here is that the Gershwin title is singular. For this group, it has to be WE’VE GOT RHYTHM, and they are decisive about the ownership of same. James Dapogny, piano; Mike Karoub, cello; Rod McDonald, guitar; Kurt Krahnke, string bass. Recorded by Laura Beth Wyman at the Glacier Hills Senior Living Community, Ann Arbor, Michigan, on June 26, 2015. Two other marvels from this session can be marvelled at here. Laura has set up a Facebook page for her video efforts celled simply Wyman Video. If you admire her generous efforts, why not “like” the page? It could be the best slightly-under-three-minutes you will spend this year. And Hank Duncan sends his love.